France is a beguiling place, bustling and cosmopolitan on one hand, calm and contemplative on the other. One of the most popular tourist destinations in the world, there are countless reasons why so many people love visiting this diverse country. If you’re into fine dining, high-adrenaline sports, pristine beaches or historical masterpieces, you’ll find them all in your holidays in France. And, it’s guaranteed to be charmingly, quintessentially, uniquely French. Welcome to Paris!! Paris is one of the best travel hotspots around the world, famous for its scenic locales and romantic appeal. Situated on the River Seine, the city enjoys a beautiful setting and offers an unending list of famous landmarks to explore. After Immigration clearance and baggage collection proceed to the arrival hall where you will meet the chauffeur holding placard of your name. Transfer to the hotel and relax. In the evening, you can enjoy the glitzy, glamorous cabaret Lido show (on your own). Head to the city’s famous Avenue des Champs-Elysées and discover a world of decadent dancers, sparkling sequins, extraordinary sets, magical lighting and captivating music. Overnight stay at the hotel. This morning, aboard a panoramic riverboat and admire the top city attractions, such as Notre Dame Cathedral with its gorgeous French Gothic architecture, and Hôtel de Ville where the Mayor of Paris holds office. Pass the chic neighborhood of Saint-Germain-des-Prés with its bustling boutiques and prestigious art galleries, and perhaps hop off at the Eiffel Tower to marvel at one of the world’s most iconic feats of architecture (entry ticket not included). Your route also allows you to hop off at the famous Louvre Museum (entry ticket not included) as well as Musée d'Orsay, with its unparalleled collection of Renaissance art. With your ticket, you can remain on the boat for an entire loop (roughly 1.5 to 2 hours) or you can hop on and off at any of the nine stops along the Seine River to explore Paris’ countless delights. Rejuvenate with an overnight stay at the hotel. The Latin Quarter Walking tour will take you through the heart of Parisian history and touches on everything from medieval times to the great intellectuals on the planet. You will visit some of the most amazing spots of the bohemian Paris such as the Sorbonne University, the Pantheon and the magnificent Gardens of Luxembourg. This is where Paris began many centuries ago and continues to be one of the most vibrant areas of the city. A bustling city in itself, Paris seems to come to life once the sun goes down. If you are eager to taste original cocktails with rare types of alcohols and unexpected merges, Le Syndicat is the perfect bar for you. It remarkably manages to bring old and French alcohols up to date, and the atmosphere is always welcoming. Have a pleasant overnight stay at the hotel. 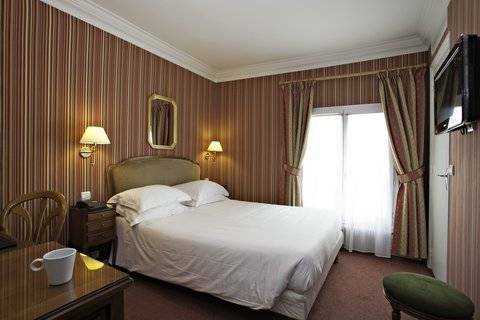 After breakfast check out from the hotel and proceed towards Paris airport for your onward journey with wonderful memories!! The client needs to reach the meeting point for sightseeing on his own.